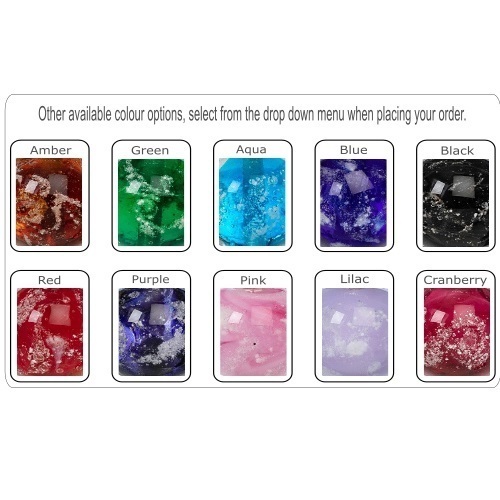 Please note no two Pendants will be the same, colours are a guide only as theses Pendants are bespoke and will have a mixed blend of your selected colour huge. 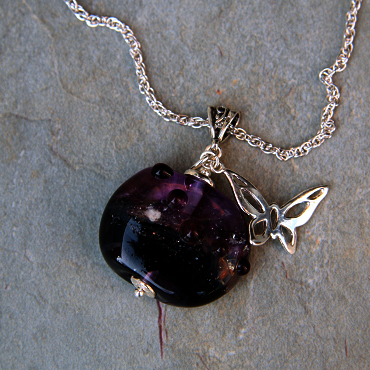 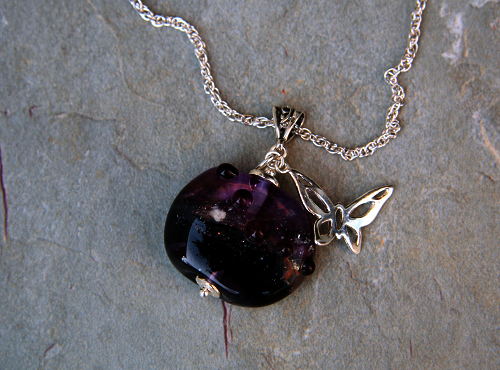 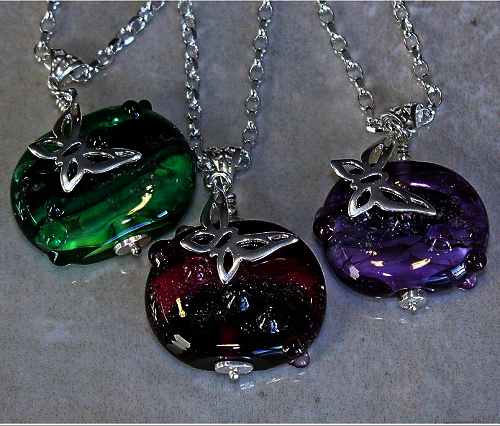 Blackberries were the influences for this beautiful cremation glass Pendant, made in blends of complimenting Purple shades. 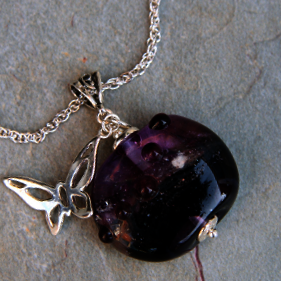 It comes with a cute Sterling Silver Butterfly Charm and a sprinkling of raised glass dots making this Cremation Pendant a lovely tactile piece. 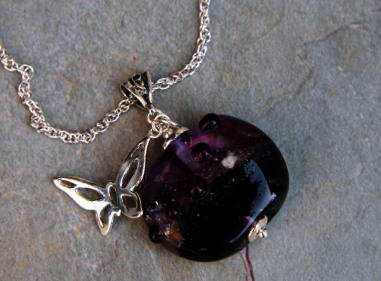 The Ashes inside this glass really stands out against the bold Purple shades. 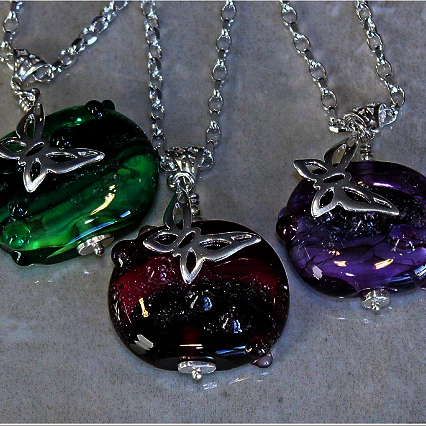 A small quantity of your loved ones ashes will be carefully placed inside the glass forever by our own highly skilled glass artists in our Berkshire studio. 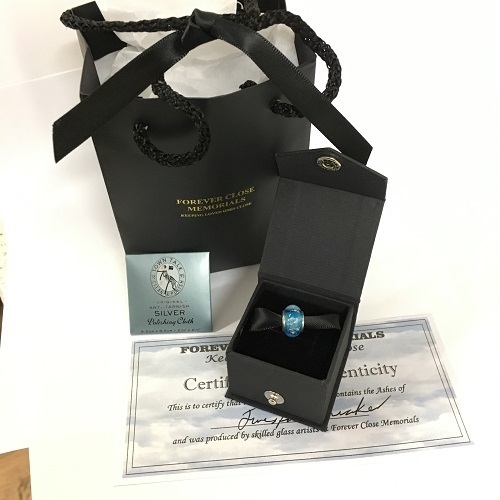 Comes complete with presentation box, gift bag, Certificate Of Authenticity and a free aftercare pack with polishing cloth.